Have you ever received a truly genuine gesture of gratitude and appreciation that made you proud of not just yourself, but also your team and your company? On November 15 and 16, IWCO Direct hosted a key client and their agency partner, Orange Element, for an IWCO Direct Education Center session. Our Hamburg facility subject matter experts (James Thomas, Wendy Scott, Frank Kavka, Don Kerrigan, Mike O’Leary and I) presented sessions and led the facility tours. After the session, a survey was sent to attendees, and we received a note of thanks along with a link to their company blog sharing their experience. Touring our printing and lettershop facilities, the Orange Element crew had the experience of seeing mail go from copy and art files to print to final product, getting a unique perspective on our start-to-finish production process. The value of direct mail strategy wasn’t lost on the team, reminding them of the importance of testing, segmentation and analysis in creating great custom direct mail campaigns. For more on Orange Element’s top takeaways from their visit (including a new appreciation of mint-flavored M&M’s), read their full recap blog here. Our Education Center has trained more than 700 individuals from more than 65 clients at our locations in Minnesota and Pennsylvania. 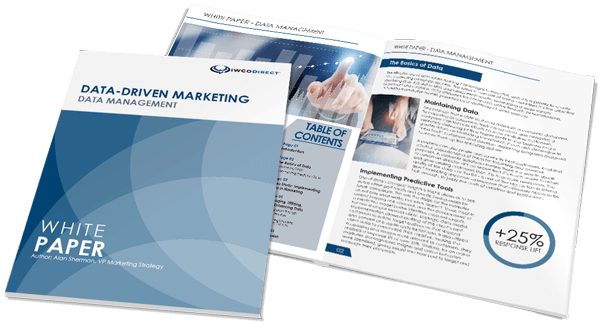 While other companies may provide training in limited disciplines or special seminars positioned as educational, this is the only integrated direct marketing services program that covers all aspects of production across an integrated platform. While we tailor our Education Center curriculum for the specific needs of attendees, popular courses include Component Manufacturing, Content Development, Personalization, Lettershop and Postal Basics. We’d like to thank Orange Element for sharing such kind words about their experience with us. If you would like to learn more about the IWCO Direct Education Center or schedule a session for your organization, please let me know.